I’ll never regret loving someone as wholeheartedly as I did. People make mistakes but what I’ve learned is to forgive. Memories will forever be cherished in my heart. 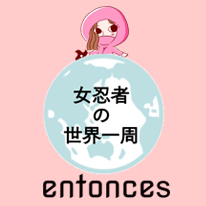 ©Copyright2019 女忍者の世界一周　entonces.All Rights Reserved.